Keep your data in the database, not for security reasons but to avoid performance mistakes. Often the best way to speed up your application is to let your database server do what it was designed to do: operate on data. Most modern programming languages and frameworks hide databases behind an elegant, beautiful layer of abstraction. 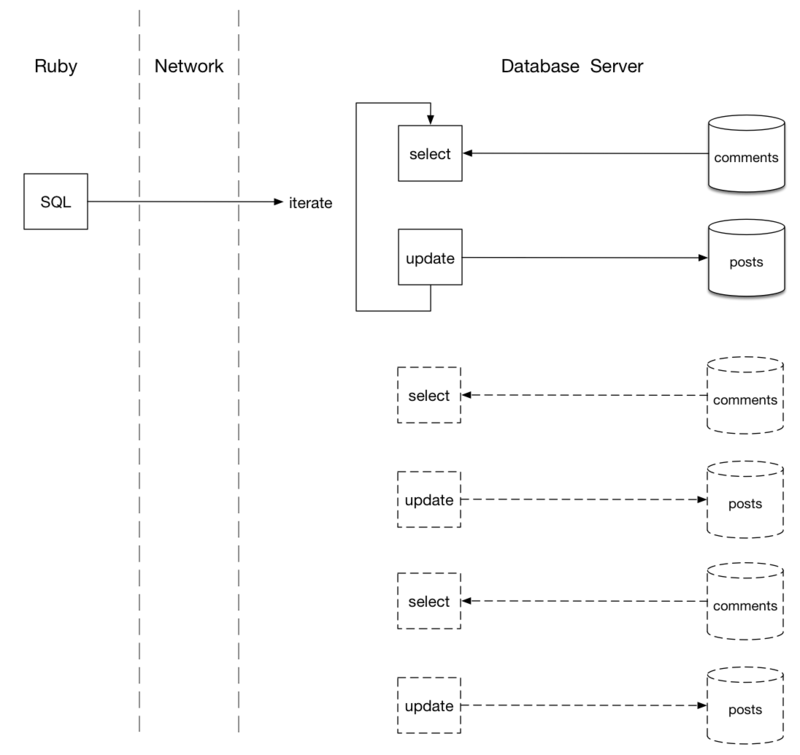 Developers today don’t need to write or even understand Structured Query Language (SQL), the native language of database servers. We view SQL as a low-level, technical relic of 1970s Computer Science, best left behind in academic journals and college classrooms. However, not learning and thoroughly understanding SQL would be a tremendous mistake. In fact, many data related performance problems are a result of using a high level language, such as Ruby or Python, to work with data instead of SQL. Keep your data where it belongs… in the database. Use your database server to operate on your data in place, and then fetch the result your application actually needs. The problem with this approach is that it doesn’t scale. Suppose this post has hundreds or even thousands of comments; in this case, ActiveRecord will convert them all into Ruby objects just so I can iterate through them in the latest_comment method. The solution is the same as before: Don’t let your data out of the database. 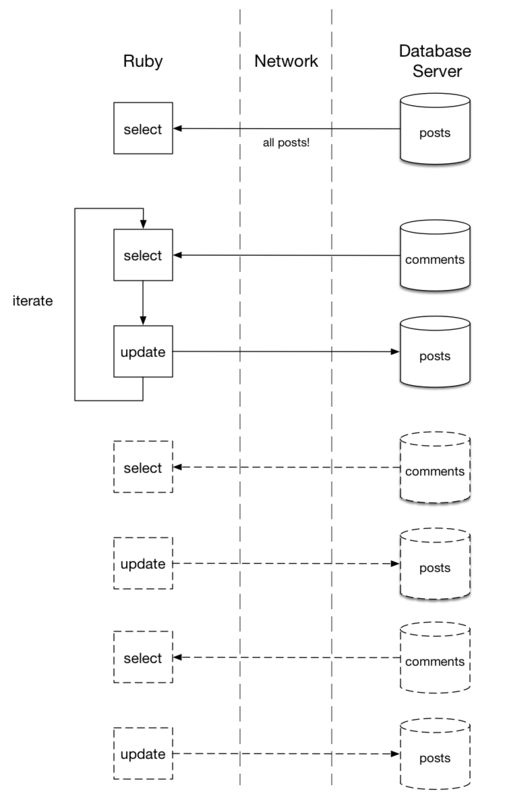 Instead of writing Ruby code to update each post record, ask the database server to do it. My database server already has all my post data in an optimized format, likely loaded into memory. It can iterate over the posts and update them very quickly. But how? How do ask the database server to update all the posts? I need to speak the database’s language: SQL. By writing SQL directly, I can be sure the database is doing exactly what I want, that it’s using the most efficient algorithm possible. I can be sure my database and I understand each other.